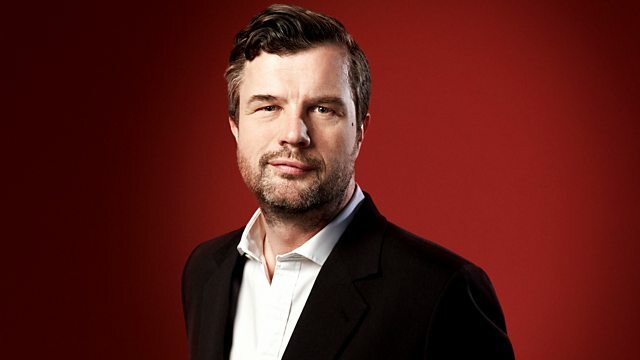 Live from the BBC Maida Vale Studios in London, Petroc Trelawny presents Radio 3's classical breakfast show, announcing the six shortlisted entries in the 2018 Radio 3 Breakfast Carol Competition. This year, we challenged amateur composers to create new music for The Bee Carol, a poem by Poet Laureate Carol Ann Duffy. The BBC Singers directed by Bob Chilcott perform the shortlisted carols live in the studio, and listeners are invited to vote for the overall winner. To vote for your favourite carol go to bbc.co.uk/radio3. Voting opens at 9am today and closes at 5pm on December 20th, with the winner being announced in Breakfast on Friday December 21st. Orchestra: Vienna Philharmonic. Conductor: Pierre Monteux. J.S. Bach: Das Wohltemperierte Klavier: Till Fellner. Performer: Jonathan Vaughn. Ensemble: Wells Cathedral Choir. Conductor: Matthew Owens. Performer: Jindřich Pazdera. Performer: Patricia Goodson. Performer: Louise Williams. Performer: Raphael Wallfisch. Ensemble: Lindsay String Quartet. Tchaikovsky: Swan Lake; Sleeping Beauty; The Nutcracker - Highlights. Performer: Albrecht Mayer. Music Arranger: Andreas N. Tarkmann. Orchestra: The English Concert. Choir: Trinity Baroque. Voices of Bach: Albrecht Meyer. Choir: BBC Singers. Conductor: Bob Chilcott. Performer: Richard Pearce.